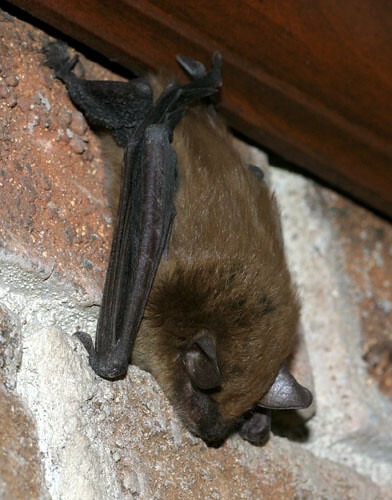 This bat was found perched on my neighbor's chimney here in Durham, North Carolina. Other photos show it in different poses. A zoologist friend has identified this as Big Brown Bat, Eptesicus fuscus. See Animal Diversity Web, for instance.